If Italy is known for delicious pizza and pasta dishes, and USA’s love for cheeseburgers, corndogs and fries is so great, the Philippines adores its exotic and comfort dishes. 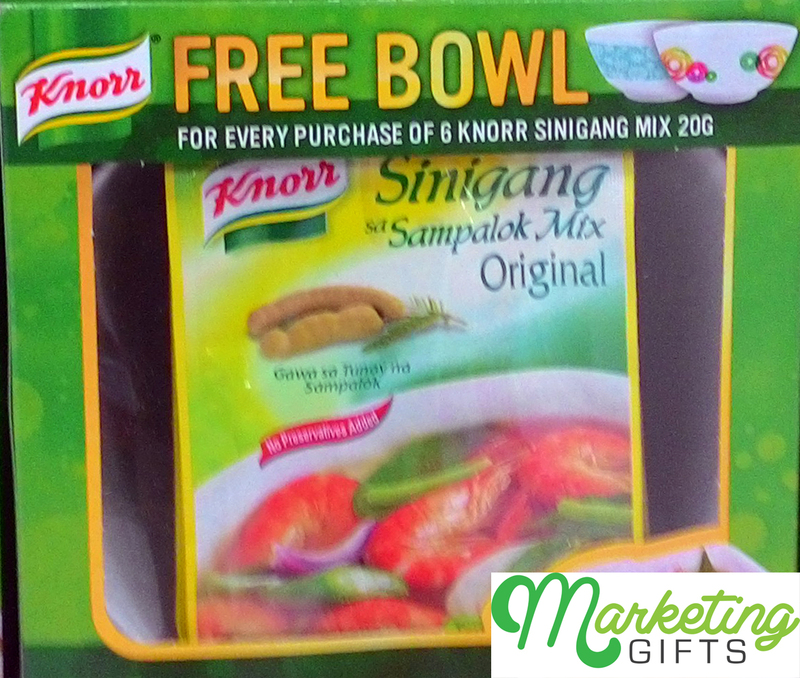 These comfort dishes, ironically, actually come in the form of various soups that flavored by tamarind, guava and other fruits most of the time, and they can look even more appetizing when served in this free bowl from Knorr. Brings More Profits. Knorr products are very practical to buy, because most parents these days do not actually have the time to extract flavoring from actual fruits (while some cannot find them even in the market). This idea, when added to the fact that there is a gift with purchase customers can get, will bring more profits to the brand. Retains Brand Recollection. Because of the presence of the free bowl in someone’s house, everyone who lives there will remember where it came from and how they got it. This will help them remember the brand in the future. Go to Marketing Gifts blog today to see marketing ideas which can help advertise your brand.